You see, The Squeeze Inn offers a burger that is unlike any other burger in the world. 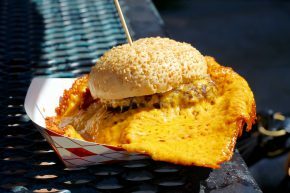 Instead of simply melting cheese on a patty, a cheese skirt is created on the griddle surrounding the burger and is grilled to glory. Therefore I ordered the Double Squeezeburger with Cheese without any of the fixins. This was going to be man vs. burger, cheese skirt and bun. 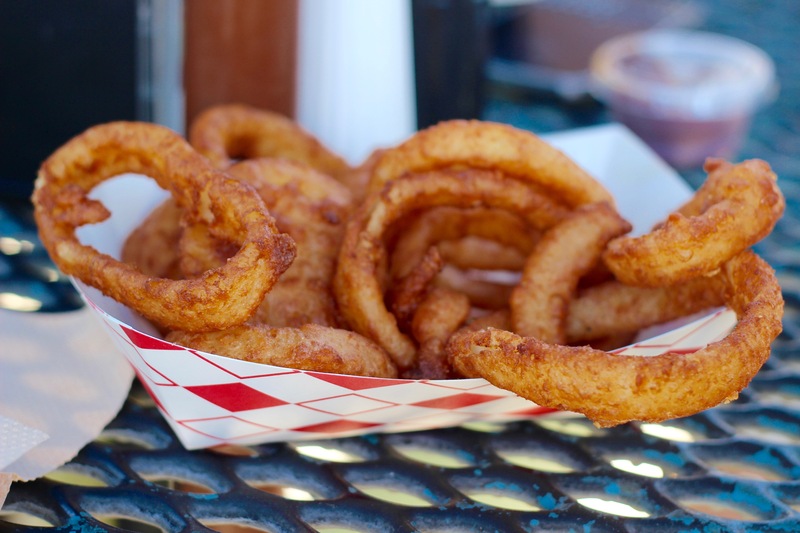 Oh, also some onion rings. When the burger finally arrived, it was nothing short of a beauty. I had not fully prepared for how much cheese would come along for a ride on the burger and since this was a double burger, it was also double cheese. 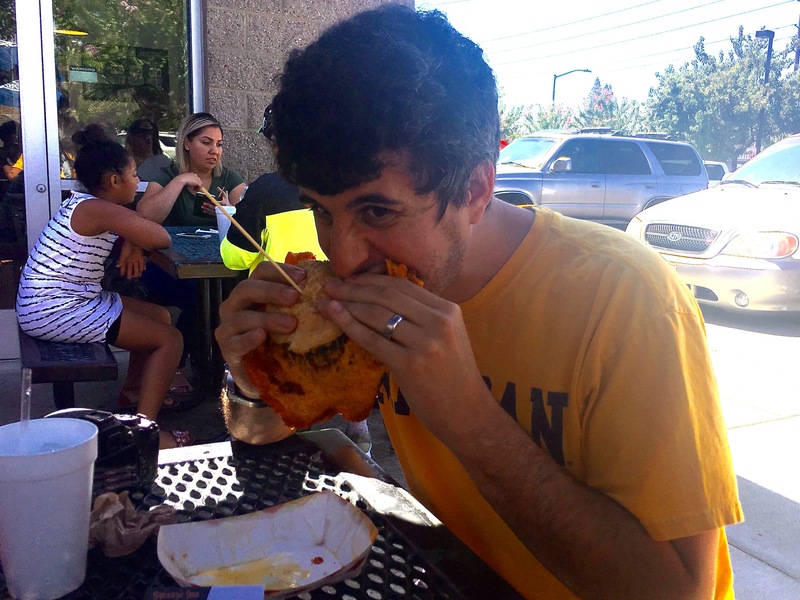 It wasn’t the easiest burger to dig into, but when I finally broke through the wall of cheese and made it to the burger all was well in the world. I eventually figured out how to fold the cheese in and eat it in a semi-normal way, but it sure wasn’t easy. Try to find room for these. 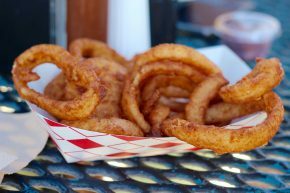 In a weird way, the onion rings acted almost like a buffer from the excess that the burger exuded. Yes, I am talking about battered and deep fried onions as some sort of a health buffer. Clearly I entered some sort of relative scale beyond normal reasoning here. In the end, The Squeeze Inn is a place that I simply had to try and that I am so happy to have destroyed. Yet, it’s also a spot that I don’t feel some overwhelming desire to get back to. If I did I would certainly go for a smaller burger, but even then as much as I love the idea of the cheese skirt and the presence of excessive cheese, the burger patty itself was relegated to a second thought. And I don’t mean that I thought of it that way, but that The Squeeze Inn treated it that way in terms of flavor and quality. Again, I am so happy to have tackled this burger, but I won’t be making any special trips up to Sac Town to get it again.